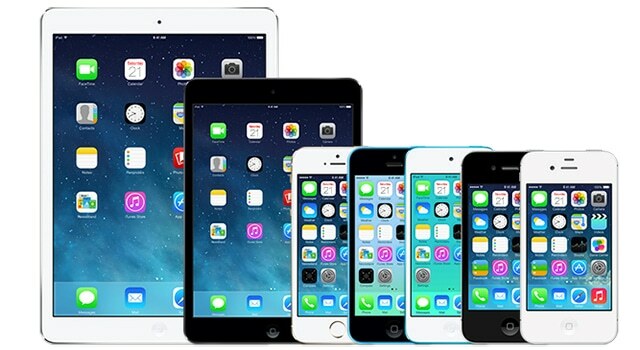 After five months of releasing iOS 7 to the public, Apple iOS 7 is now installed on 85 percent of devices. 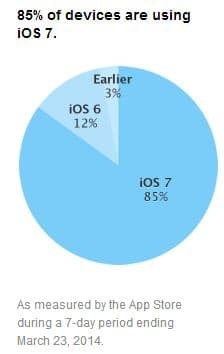 The statistics come from Apple developer website where it also shows that 12 percent of devices are still running iOS 6, while 3 percent on earlier version like iOS 5 and iOS 4. It was posted two week after Apple released iOS 7.1, the first major update for iOS 7; an update that brought improvements, visual changes, and CarPlay. This app is mainly to let developers know that is very important to update their app to iOS 7 if they want to remain in business.